A great collection of poetry from a wide range of interesting poetic minds. Undoubtedly, my favorites include the following:1. Fag/Hag2. Wrong Way Love3. No More Hags4. Heteroflexible5. Straight Man Observes a Couple on the Train6. Side Order7. Billie8. Eve's Response9. 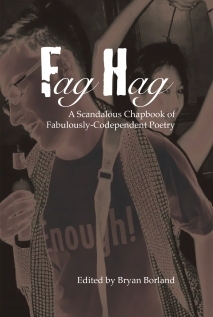 Hag/FagThen, there's that furiously gorgeous cover.